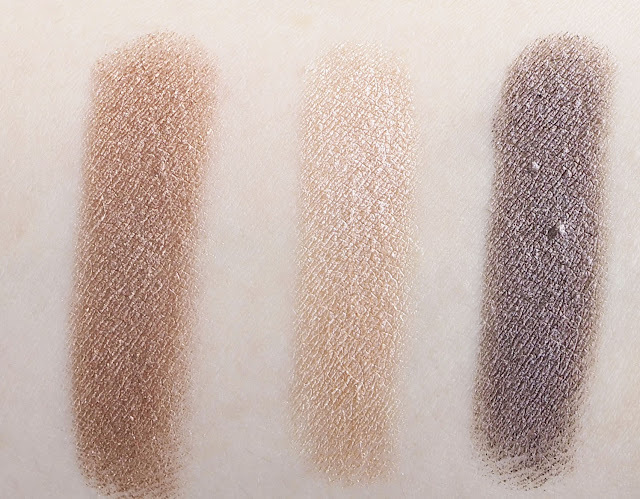 You may already know this but, in case you don't, the Make Up Geek Foiled Eyeshadows are some of my absolute faves. So when my friend kindly got me a few new ones for my birthday I had to get them up on here on asap! In The Spotlight- this a gorgeous pale champagne shade and I wanted this one in particular as I thought it would make the most beautiful inner corner highlight which having now seen it in the flesh it really will. This will also be useful to blend other shades of the shadows in to. Mesmerized- another stunning colour! This one is a cool toned brown/ taupe that in certain lights almost leans a little on the purple side. It actually reminds me of Mac's Satin Taupe but a lot more intense. Grandstand- this is the one I was most excited for and have been wanting for a long time now. 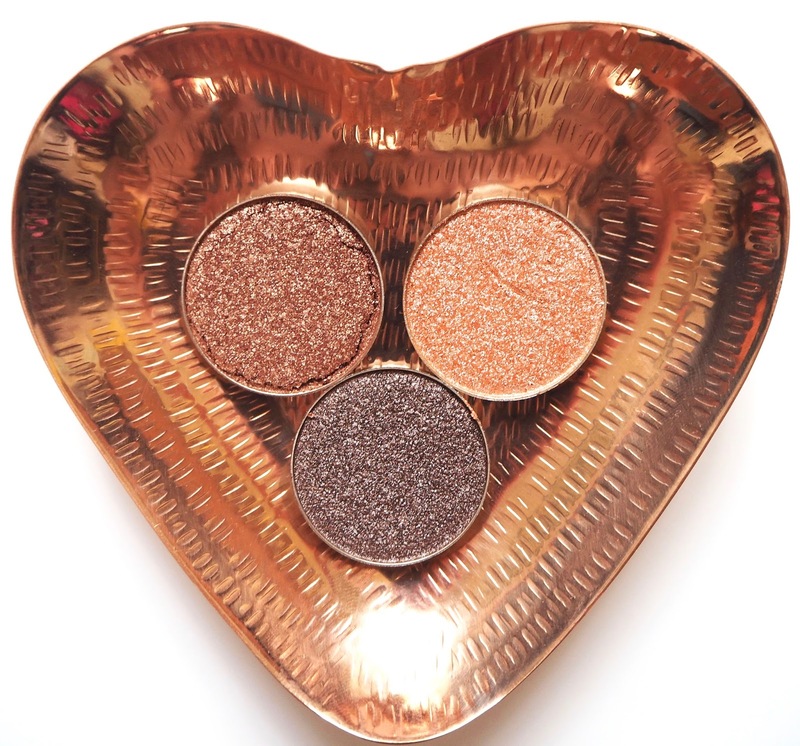 It's an absolutely amazing bronze shade and this shade will be one of those ones that you can chuck on your lid on its own and it will be the main focus of your make up look. Which Make Up Geek eyeshadows have you got lately? You picked some stunning shades! My fave out of the bunch is Grandstand.. if i had it I would wear it everyday.. it's that pretty!